With the hectic late-December schedule on the horizon, there is no better time for the first ever English Premier League Weekend Awards. With all of the weekend’s matches having been played, excluding Sunday’s Newcastle-Wolves fixture, it is time to give out the inaugural Weekend Awards. For the first time since April 7, 2018, Manchester City has lost a match in the Premier League. Their 8 months of undefeated soccer has come to an end thanks to a superb defensive showing from Chelsea. Cesar Azpilicueta, Antonio Rudiger, and David Luiz completely shut-down the formidable front three of Man City (which included Mahrez rather than Jesus). The Citizens consistent attack left much to be desired as they were left goalless for the first time since their meeting with Liverpool in early October. City now drop into second place, despite having the best goal differential in the league. Liverpool are now the sole undefeated team, 16 matches into the season. This was also Maurizio Sarri’s first ever victory over Pep Guardiola, losing each of their previous 3 matches. 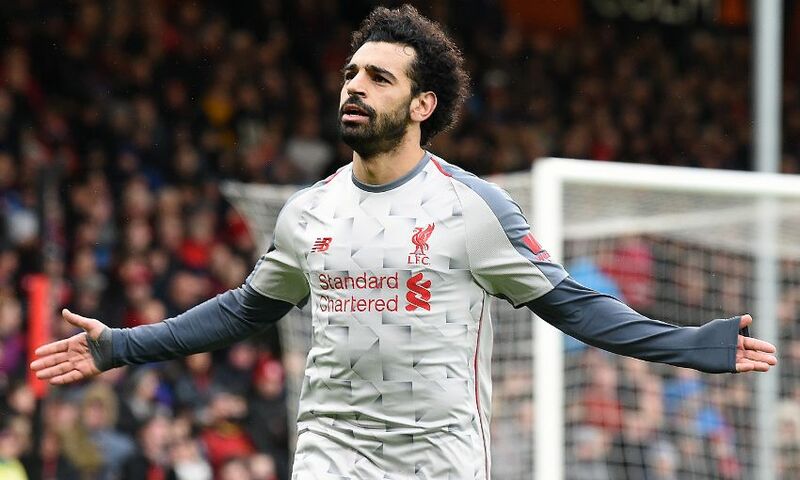 Liverpool’s magnificent 4-0 win over Bournemouth sees them move into first place, and it was due in no small part to the Egyptian Magician, Mohamed Salah. Mo walked into Vitality Stadium not having scored in his last three competitive matches. Nevertheless, he walked out with a hat-trick and a Man of the Match award, as well. Salah’s first goal came in controversial fashion, as here appeared to be offside, but the linesman’s flag stayed down and Salah gave Liverpool a 1-0 lead. A lovely finish by Salah gave him a brace in the 48th minute. He finished off the hat-trick twenty minutes later with a nice bit of composure, rounding the keeper and calmly placing the ball in the back of the net. A perfect day for Liverpool fans, as the Reds reclaimed the poll position in the league, and their main man Mohamed Salah returned to the form that they’ve come to expect from the Egyptian. With their 3-2 win over Crystal Palace this weekend, West Ham United have won three straight games in the Premier League. The second half began 1-0 in favor of Palace, but 3 goals in 17 minutes gave the Irons an insurmountable lead. A beautiful curler from Robert Snodgrass (his first goal for West Ham) drew the game level, and Chicharito gave West Ham the lead with a poacher’s goal in the 62nd, off of a free-kick. But the goal of the weekend came just three minutes later, when West Ham’s top goal scorer, Felipe Anderson, struck from 20 yards out. Anderson took one touch to compose himself, and then sent an absolute beauty to the top corner.